Glenn Ricketti first became associated with Margolis Edelstein in 1985. He has been a partner at the firm since 1991. 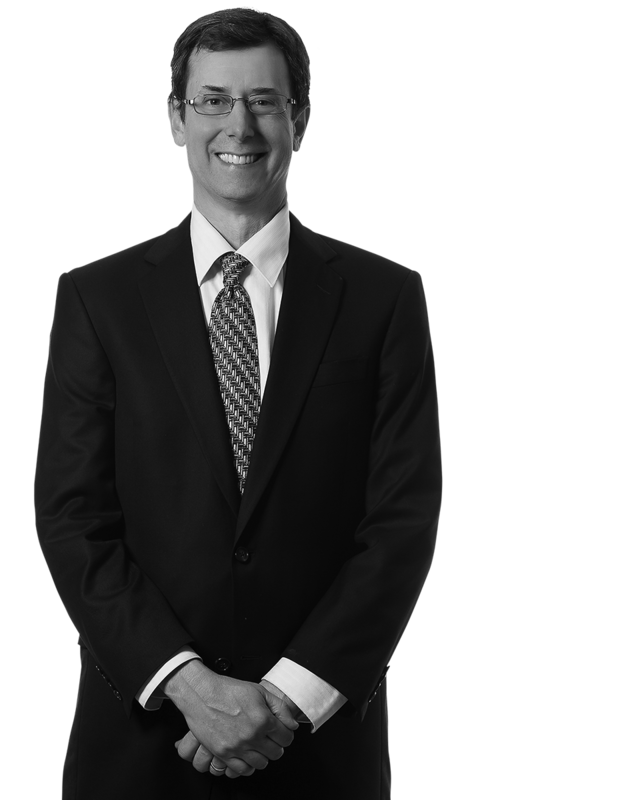 His practice concentrates on the litigation aspect of general liability claims. He has handled hundreds of jury and non-jury trials in both the State and Federal court systems, arbitration hearings, as well as uninsured motorist and underinsured motorist hearings. Glenn’s practice includes handling a wide array of cases from national and regional insurance carriers ranging from minor personal injury or property damage claims up to catastrophic multiple death cases and major property damage claims with damages in the tens of millions of dollars. Along with the general liability claims, Glenn has handled numerous coverage and declaratory judgment actions through both the trial and appellate levels. Over the past years, Glenn has been selected by various insurance companies to take over major litigation cases from house counsel on the eve of trial to prepare for and litigate the cases through a successful resolution or through the trial and the appellate courts. Glenn’s practice includes Insurance Coverage Litigation; Automobile and Trucking Litigation; Bad Faith claims; General Liability; Municipal Liability; Products Liability; Premises Liability; Construction Defect Litigation; and Workplace Accident Litigation. Glenn has represented clients in litigation stemming from large commercial construction projects and residential construction projects representing general contractors as well as subcontractors in claims involving water infiltration, stucco, EFIS claims, fire, and building collapses. Glenn has extensive experience in defending premises liability claims due to slip/trip and fall and premises defects, including defective design and maintenance. Glenn has presented numerous seminars and lectures to groups of defense counsel and insurance companies, including seminars to the Pennsylvania Association of Mutual Insurance Companies (PAMIC), the Pennsylvania Bar Institute, Philadelphia Bar Association, and in-house seminars at the offices of insurance carriers on the following topics: Bad Faith, Medicare/Medical Liens, Pennsylvania Motor Vehicle Financial Responsibility law, UM/UIM Issues, First Party Medical Benefits, Motor Vehicle Policy Coverage Issues, Policy Exclusions, Limited Tort Option Issues, and Additional Insured/Indemnification Issues. Represented a Philadelphia nightclub in the case of Newell v. Philadelphia 1301, LLC d/b/a Tiki Bob’s, which was sued by a plaintiff who sustained significant facial injuries after being assaulted both inside and outside the club, allegedly by a patron and then by the club’s bouncers. A jury trial in Philadelphia resulted in a defense verdict for our nightclub client. In Lempke v. Massing, Glenn represented a property owner of a large tract of land in Western Pennsylvania in a suit brought by a plaintiff-decedent who was a lineman working on restoring power after a hurricane. The lineman was killed when he stepped on a live power line that was brought down by one of the client’s trees falling on the line, causing it to break. The claim was brought against our client landowner, alleging that he failed to maintain his trees and that overgrowth on the ground level had hidden the power line from view. Glenn was successful in having the client dismissed by way of summary judgment. Represented a roofing contractor in a claim for mold damages in the case of Mastroni-Mucker v. Mastroni Brothers Roofing, where the plaintiffs alleged that after replacing a cedar shake roof with an asphalt roof, the roofer created a situation where there was insufficient air flow through the attic, causing moisture to be trapped both in the attic and throughout the house. A jury trial in Philadelphia resulted in an initial defense verdict. After plaintiff counsel appealed the matter to the Superior Court, it was determined that a favorable settlement for the client, which took place while the jury was deliberating, would be enforced, resulting in a favorable resolution for the client. Represented a major insurance company in a coverage action interpreting the definition of “resident” of the insured’s household under a motor vehicle policy in the case of Bubeck. Glenn successfully defended the insurance company’s position that a grown son, who had been living with his girlfriend for a period of six months, was no longer a resident of the insured’s household and therefore not entitled to underinsured motorist coverage under the client’s policy. The case was initially won at the trial level, and was later affirmed by the Pennsylvania Superior Court. Represented a client’s gas station in defending a suit for personal injuries, including a fractured ankle, which resulted from a trip and fall in the case of DiGiovanni v. Wark’s, Inc. In that case, the plaintiff was claiming not only personal injuries but permanent disability. During surveillance it was determined that the plaintiff continued to work in his taxi business on a full time basis and appeared to have no residual disability from the injury. We obtained a defense verdict for the client. In Book v. Degler-Whiting, Inc. and Antonini, we represented a defendant driver and his employer company in a case of clear liabiilty involving a motor vehicle accident resulting in the death of the plaintiff. After agreeing to high/low parameters, the case proceeded to a jury trial in Philadelphia. After an extended jury trial, we were able to obtain a verdict from the Philadelphia jury that was below the “low” figure previously agreed to by the client’s insurance carrier.